First, I have been reading your blog for quite some time and appreciate your service and perspective. I really appreciate your historical perspective on many issues and consider myself a fan. The recent comment regarding police pensions being paid for by seizures are inflammatory and not true in most cases across the country. The only way it might be true would be for those agencies that self-fund their pensions through the local governing body typically found in very large cities, and I suspect the only way that could occur would be by supplanting, which is usually illegal as well. Since the majority in law enforcement work for mid-size and smaller jurisdictions, that vast majority pay into a fund usually at the state level similar to teachers. The pensions I describe are also not usually as generous as some I have seen from very large cities as well. I do agree with you that the seizure laws in this country are being abused and the temptation is certainly there for law enforcement to abuse them to buy “stuff” they could not otherwise get. Personally I find most a Constitutional violation because they tend to lack any due process before a seizure, and as you have described in the past, may resemble more of a theft in some cases. What disturbs me the most is when I see agencies seizing property/money and no criminal charge/arrest related to drugs, which is what the seizure laws originally were focused on. Some drug task forces though have been largely funded with the seizures they obtain. Though I think it is a bad idea, on the surface it seems to make sense, but I do think you could make the argument that those individuals’ pensions are funded by seizures since some wouldn’t have a job without them but they certainly are not representative of law enforcement as a whole. There are many other issues, things that are broken, and many things wrong with our system and government we could discuss, but I’m doubtful this email will even reach you and suspect you are inundated with them so I’ll stop here. Stay well and don’t go quietly into that good night. REPLY: In all fairness, my greatest mistake in write is sometime I do make statement TOO GENERAL. To be accurate, pension funding is typically accumulative the higher you go up the government chain. At the Federal level, it is just unfunded. Moving down the chain, it varies. However, the seizure are going to fund liabilities (pensions) that are not exactly direct to afford the police deniability today. Those already retired did NOT engage in this new wild-west atmosphere os robbing the people. This has accelerated within just the last 5 years. The money goes into the general budget so the police today, which have been converted to IRS agents on wheels, have deniability that what they seize goes directly into their pensions. It is also political pensions. The State of New Jersey, the worst in property taxes, fines, and all sorts of penalties, is under-funded on state pensions by $50 billion. Most of that is state workers since the police are at the municipality level, with a small force of State Troopers. This varies from town to town. I drove out for Starbucks. Within a 3 mile course, there were three police cars with three people pulled over. More people are leaving New Jersey than just about any other state because of insane taxes. If you overpay money into the state income tax, they hit you with a penalty because they have to refund you. On a $750 under-payment, they hit you with a 20% penalty and then charge you 26.5% interest on top that includes the penalty. If ANY business did this they would be changed with consumer fraud. I have some personal friends who were police. Those who today are police cannot hold a candle to their character or attitude. 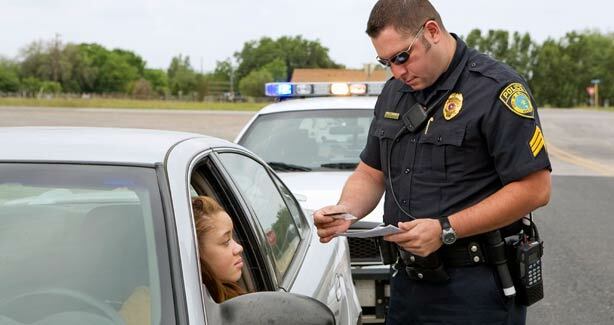 Getting pulled over today is a dangerous encounter for you have no idea what they will do and constitutional rights mean absolutely nothing – they are a joke. I have been pulled over TWICE on my way to work at roadblocks during the morning rush hour. They pull EVERY car over asking for “papers please”. If you do not have all your documents, there is the line for tickets. If you have them, proceed. I had my papers so no ticket. But it is TOTALLY illegal to pull every car over to check your documents. I cannot image what assets are being confiscated. 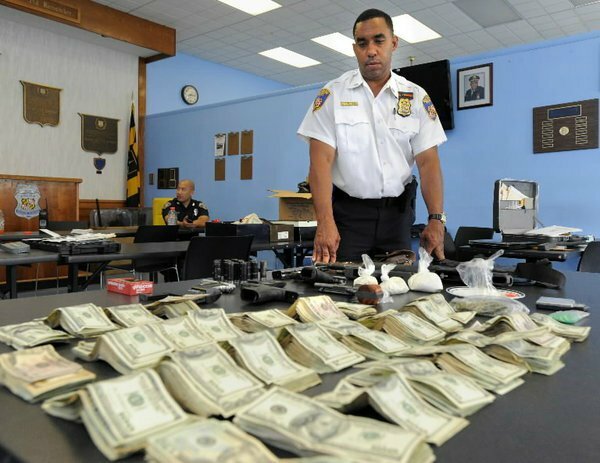 More than a thousand civil asset seizures in Washington, DC were for less than $20. This is NOT the land of the free any more. This is a joke. To those retired, you were not part of this new trend. To those now active, remember you are American FIRST, and you should realize they are exploiting you only for money. I ran a piece months before the Ukrainian Revolution began. What started it, was the wholesale corruption of the police. When friends from Ukraine would come visit me here in the States, at the first sight of a police officer they would cringe. Police were seen as mafia in Ukraine and that is what started the revolution. They were very much in your face.